Nancy Wiley here is inspired by the "Panniere" Baroque style dress, which she reinterprets as canvas theater for this Nursery Rhyme theme. 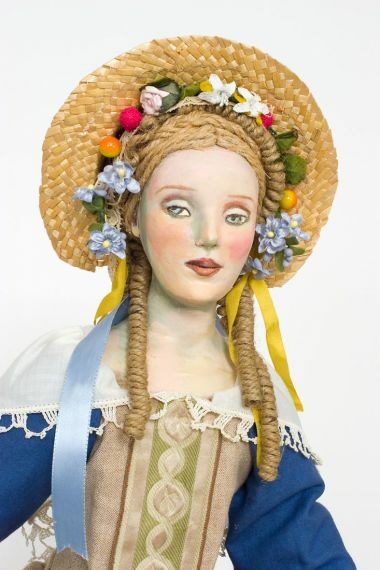 Hey Diddle Diddle is a variation on the renown "Panniere" series created by top of the line doll artist Nancy Wiley. 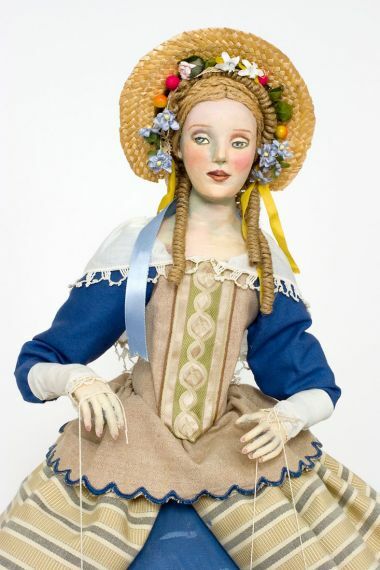 The concept for the name is from the French word for a type of Baroque dress. Wiley envisioned the panniere style dress as a sort of stage set. 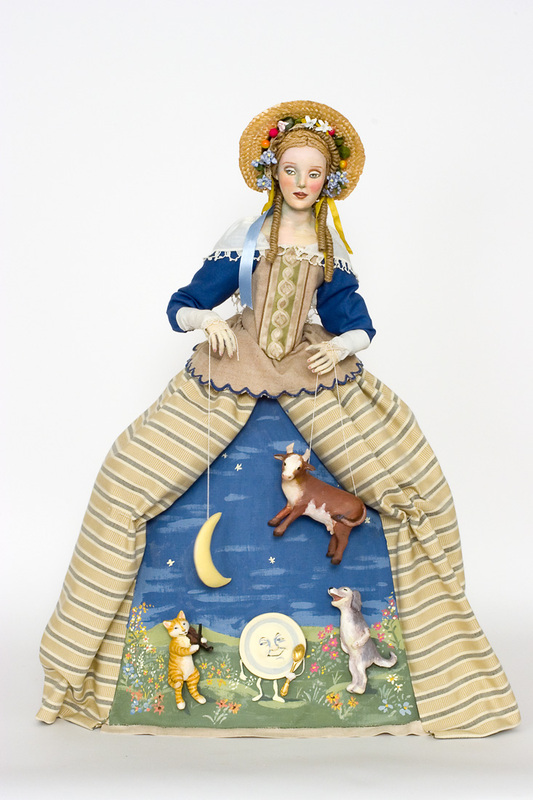 The skirt becomes the open theater curtains for the marionettes and figures within to perform within an oil painted landscape or background. 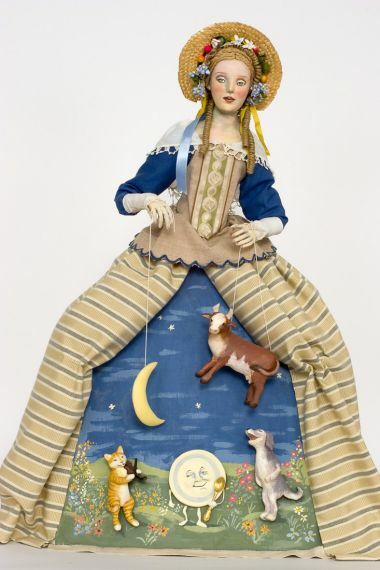 Here the characters are from the child's nursery rhyme, and depicted are, among others, the Cow jumping over the Moon, and the Cat with the Fiddle . . . This piece is a mixed media, paperclay, one of a kind work of doll art. She stands approximately 29 inches tall.